It has been some time since I placed something on my “Safari news” page and I hope to rectify this situation in 2017. As I have probably already indicated I hate the use of the word “Blog” as to me it is has horrible overtones and sounds disgusting. This is why I have called this section of my website “Safari News” and this is what I try to provide. As such, I am not just writing about my special safari deals that occur from time to time but I feel this section of my website should be a resource for anyone considering an African Safari or an African holiday. Therefore I am going to prepare a number of articles that can assist with your travel plans to Africa, even if you are not coming on safari with African Adventures and me as your guide. 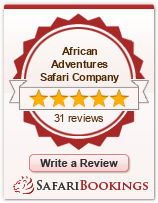 This material will be relevant for everyone considering an African Safari Tour or an African Safari package. The topic for today is the one I most commonly get questions about – MONEY. Probably the most important aspect that arises every year is the issue of obtaining cash or paying for items using a credit card while in Africa. I cannot emphasise the following enough particularly as I had told a group of clients the same thing last year and they still got angry about card use. If you follow this rule of thumb you will have ample opportunity to acquire the cash you need at almost all banks. It will also mean that you can use your card for purchases. Most of your financial transactions in Africa will be in cash so this is why it is important to have a card that you can use to access the currency of the country in which you are travelling. In Zimbabwe all ATM’s provide US dollars as this is now the standard/official currency. Having said this there is currently a problem in Zimbabwe as they are suffering from a shortage of the actual notes themselves and your withdrawal amounts at ATM’s are very limited at the moment. Therefore this is the only currency I advocate pre-purchasing as it will ensure you have some cash available. It will not have to be a large sum and preferably in small denominations as it will be used mostly to purchase things like a cup of coffee or tea and snacks. One positive is that they will accept South African Rand and even Botswana Pula but they will get you on the exchange rate. Even so, ATM’s in all countries dispense the appropriate currency upon use of a recognised card (VISA and MasterCard) but you will have to pay the cash advance fee and take the exchange rate of the day. One final point about cards that I have discovered by experience is that you will be taken advantage of in two ways. 1. The banks will charge you a conversion fee for everything, purchase or cash advance. This fee is anything from 1.5% to 3% or even higher. This can really add up. 2. You will pay a cash advance fee for all withdrawals even on a debit card.